Are for-profit schools the right choice for students? In February, Michelle Wright graduated with an associate’s degree in health care administration from the University of Phoenix. The school, a for-profit venture that largely administers classes online, provides a way for the 43-year-old Spokanite to learn at her own pace. “I like the fact that I can choose how fast I go with the assignments,” says Wright, who has always struggled in school. But this is Wright’s second go at getting an education through a for-profit college. Wright says she was two months away from earning a degree from Trend College in the 1990s when it shut down. Two decades later, Wright is still making student loan payments, even though she never earned a degree from Trend College. When she graduates from University of Phoenix, she’ll have at least $20,000 in student debt. Outsized student loans for students of for-profit colleges are one of several areas that drawn recent criticism. A report released in July by Sen. Tom Harkin, D-Iowa, alleges that many large for-profit colleges spend too much money on marketing and too little on helping students complete their education. And while only 10 percent of students attend for-profit colleges, they account for nearly half of student loan defaults. Take, for instance, withdrawal numbers. University of Phoenix has a 66 percent withdrawal rate for students who enrolled in the 2008-2009 year, according to the Harkin report. Just over a third of associate’s degree candidates (starting school in 2005) and those seeking a bachelor’s (starting school in 2006) graduated in four years, according to the university’s latest academic report. “If you are a teen at of University of Washington, your life is different from a guy who has kids and works and does his classes at night,” Rauzon says. “More than 70 percent of people in post-secondary education are non-traditional. In fact, Rauzon says the university has added a three-week orientation course designed to educate incoming students on all the implications of attending college. “We’ve seen about one in five prospective students bow out” as a result of the orientation, Rauzon says. Wendell Hall, with the Institute for Higher Education Policy, says the government should be doing a better job of regulating private colleges. He notes the amount of marketing money spent by for-profit colleges to recruit students — and the higher tuition costs that often follow. “I think honestly if community colleges … had the same way to market in the ways the for-profits do, I think more students would choose their local community college,” says Hall, who is deputy director for the nonprofit’s education think tank. “Who loses in the situation is the taxpayers and the students, not the colleges,” Hall says, referring to the higher student loan default rates of for-profit colleges. For-profit colleges have been around, providing apprenticeships and certificates, for a long time, according to Hall. But the explosion of students has only come recently. “In the last decade, [there’s been] probably a 200 or 300 percent increase,” Hall says. But not all for-profit schools are large operations spanning multiple time zones. Walter Leathers, the president of Interface College, says his school currently enrolls about 110 students. 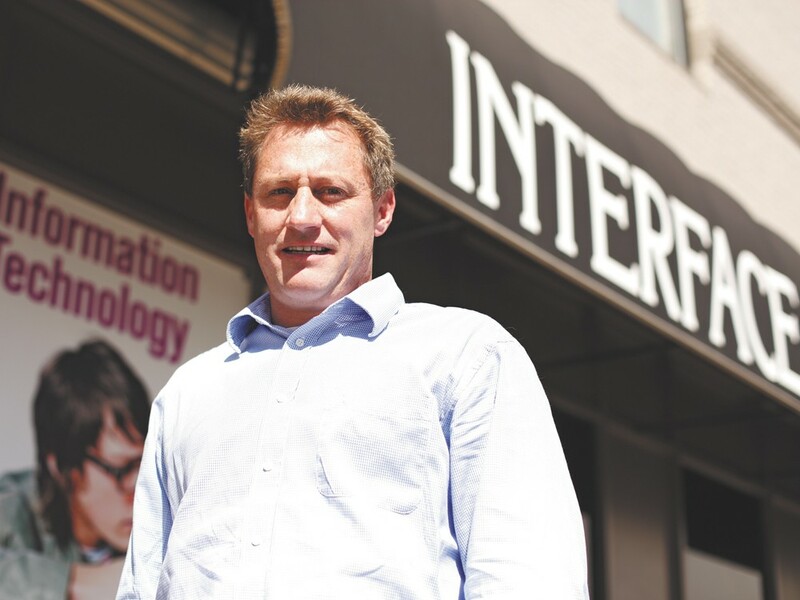 Interface is based in downtown Spokane and focuses on a narrower set of degrees and training, and handful of associate’s degrees. More than 75 percent of Interface’s senior class graduated in 2011, according to Leathers. And in 2009, only 10 percent of Interface students defaulted on their loans. Both of those numbers are lower because you can’t separate one from the other, according to Leathers. Tim Sweeney, marketing director for the state’s Workforce Training and Education Coordinating Board, says the state tracks school performance data. Enrolling students should research which colleges are able to produce graduates who are landing jobs.